The Xiaomi Mi 6X was announced back in April in China and we've been expecting its stock Android-powered A2 sibling to grace international markets since. 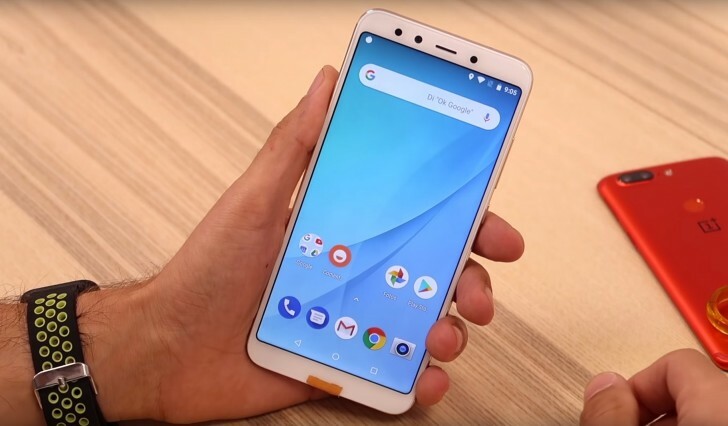 But even though it is yet to go official, a Spanish tech duo was able to get their hands on a Mi A2 prototype and upload a lengthy first impressions video. The video, which was subsequently taken down was about 11 minutes long and offered plenty of details about the Mi A2. The Snapdragon 660 seems to be doing just fine with the stock Android OS and delivers snappy performance. The guys over at PimpiTronic even showed a bunch of sample photos from the dual camera at the back and some selfie shots, but it's hard to judge the quality of those when they are compressed to the video resolution. We just want to remind you that this device features a similar camera setup on the back as the original Mi 6, which is rather cool for a mid-range device. So judging by the fact that the smartphone has already appeared in the hands-on video, the global launch might be closer than we think. Note 5 Al>> Get a Treble = Note 5 Al with stock Android 8.1 (and Gcam).